GRADE: 1st-3rd and 4th-6th; DATE: Registration is now open! 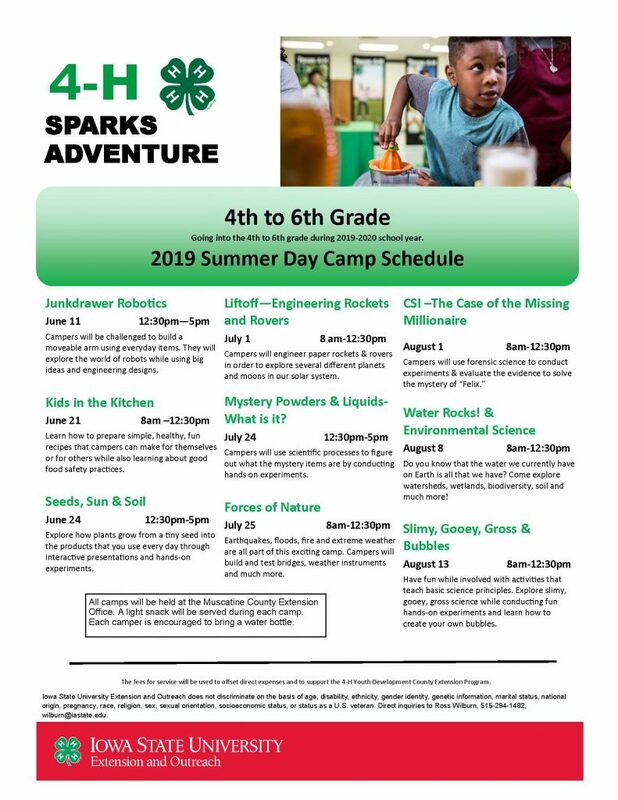 4-H Sparks Adventure! 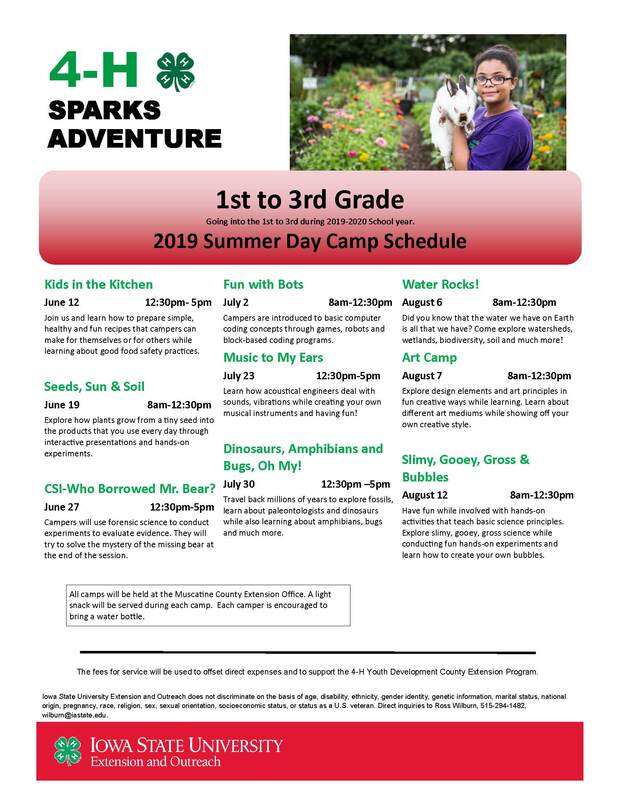 Join us for 2019 Summer Day Camps All camps will be held at the Muscatine County Extension Office. A light snack will be served during each camp. Each camper is encouraged to bring a water bottle. Campers do not need to be 4-H members to participate!